NBA Playgrounds On The Switch Now Has Online Mode | Nerd Much? When NBA Playgrounds arrived on the Nintendo Switch players were disappointed to realize that developers Saber Interactive did not include the online mode. Saber had promised only a few days after the game’s release that online patch was coming soon, but it never came. It’s been two months and finally we have the update we’ve been waiting for. The patch is available today, so boot up your version and be sure to yes to the update. The details of the patch focus mainly on the online multiplayer mode which includes the ability to join ranked matches, and the Challenge mode. The latter is a PvP mode, where you can create an exclusive match via a code that you and your friend agree on. You then open up the challenges mode, enter the code, and compete. Multiplayer is not the only improvement for the Switch, however, as Saber revamped the shooting system as well. It was previously creating a lot of problems with players, but now the game has a meter, timing, and a much clearer system. 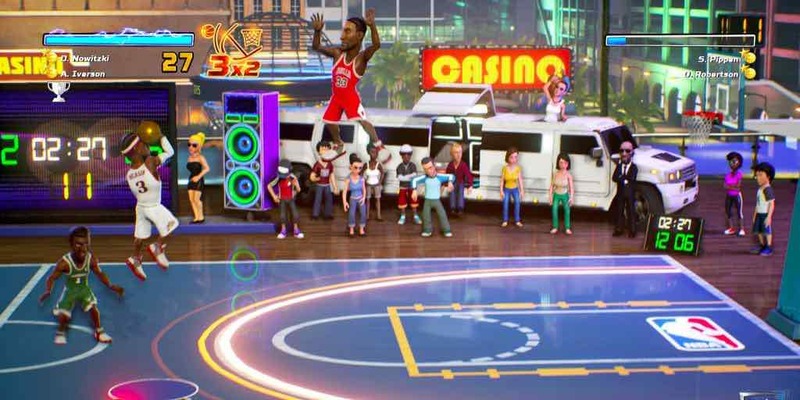 Content has also been added in the form of 15 new players on the roster, like Isaiah Thomas and Dennis Rodman. In addition, for those that have been patiently waiting for this update on the Switch, Saber will be giving away free copies of Shaq Fu: A Legend Reborn. This is an upcoming game from the same studio, a fighter game remaster from its 1994 version. Despite this major delay, Saber has promised that this won’t be the case again. Nintendo Switch updates will be handled differently than other platforms in the future. In fact, the studio will designing an entirely new system to deal with the apparent differences. With this patch for the online mode out of the way, Saber plans on providing more exciting updates to the game at a much faster pace.